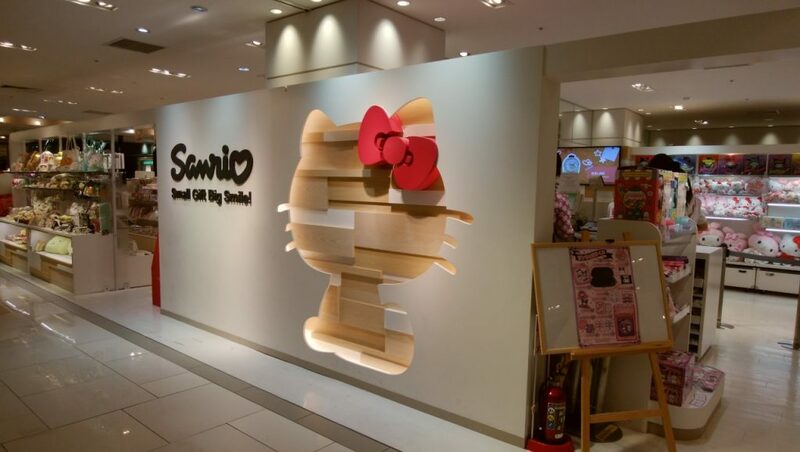 We all know those Japanese characters loved throughout the world: Hello Kitty, Pokemon, Rilakkuma, etc, etc. 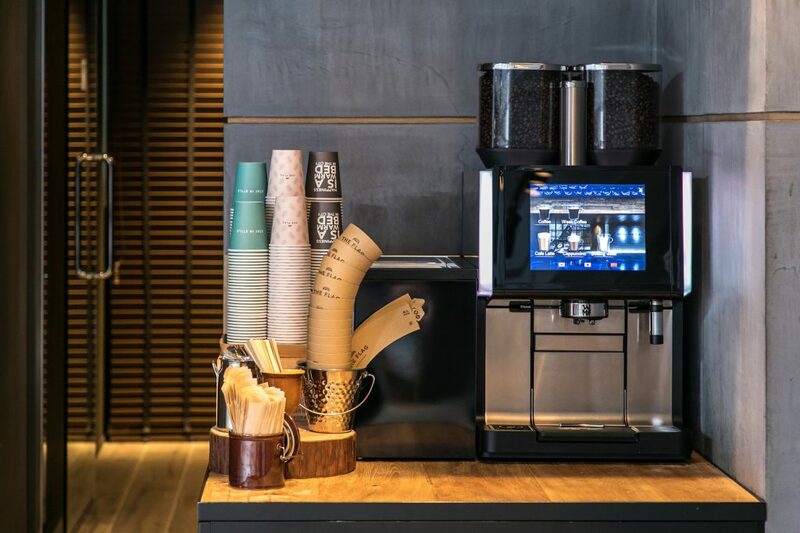 And we have exciting news for you! 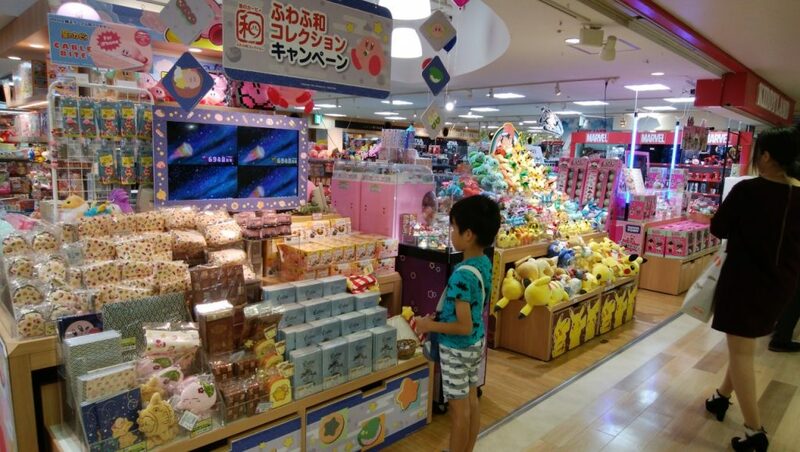 During your time at HOTEL THE FLAG, you can take a short trip to Umeda (5min by Osaka Metro) to visit a plethora of character shops! 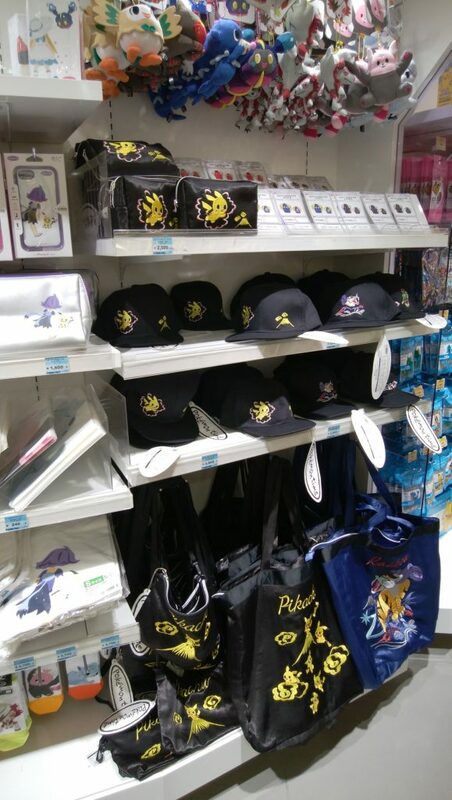 Our first stop, Umeda Daimaru, is the home of the Pokemon Center. 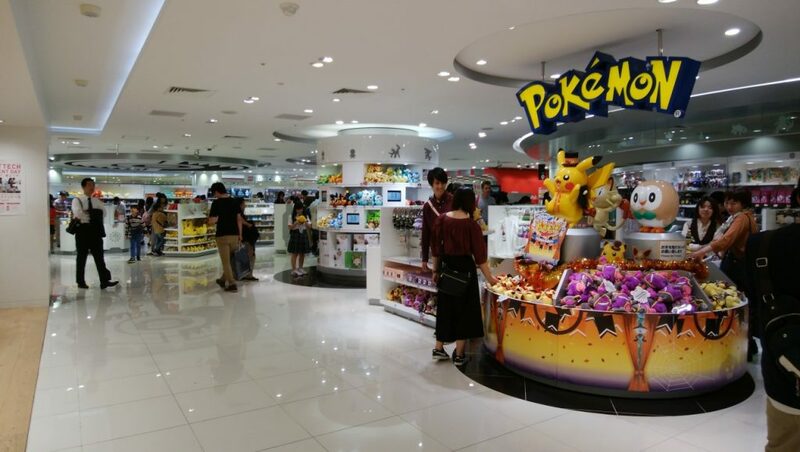 While the center can get a bit crowded, it’s your largest one-stop Pokemon shop. 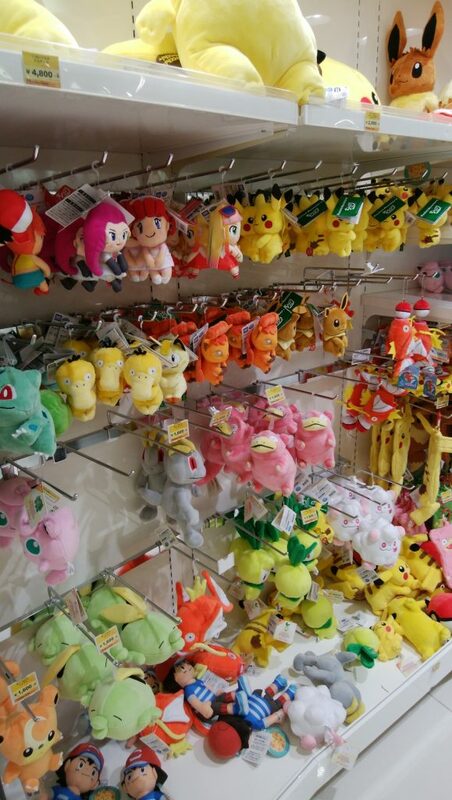 The center carries stuffed animals (stuffed pokemon) of various sizes, keychains, clothing, accessories, stationary, and the list goes on. 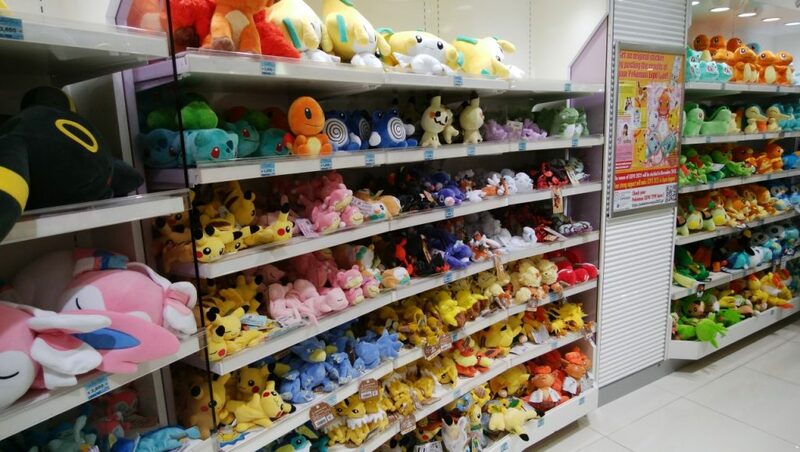 If you want something pokemon, there’s a good bet that they will have it for you. 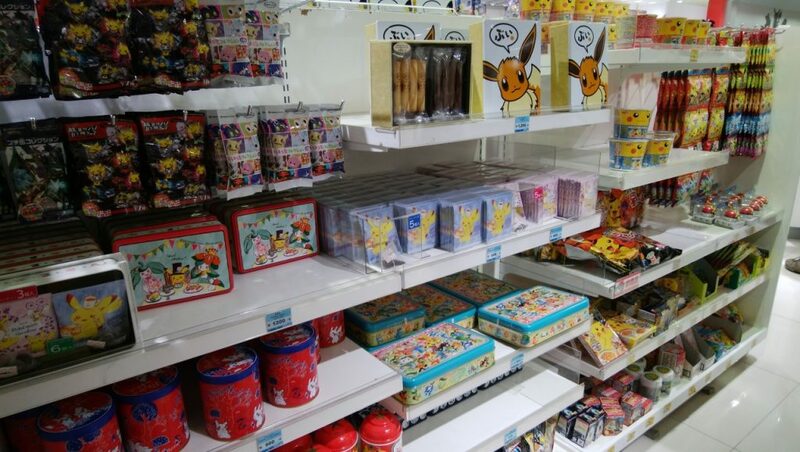 After your fill of Pokemon joy, hop down to the forth floor to find Sanrio wonderland! 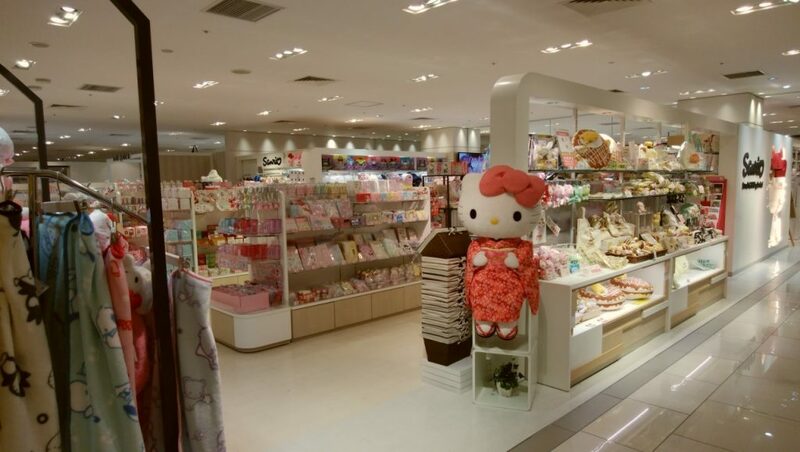 Here you will find much loved Hello Kitty goods galore. Along with some of her nice pals. 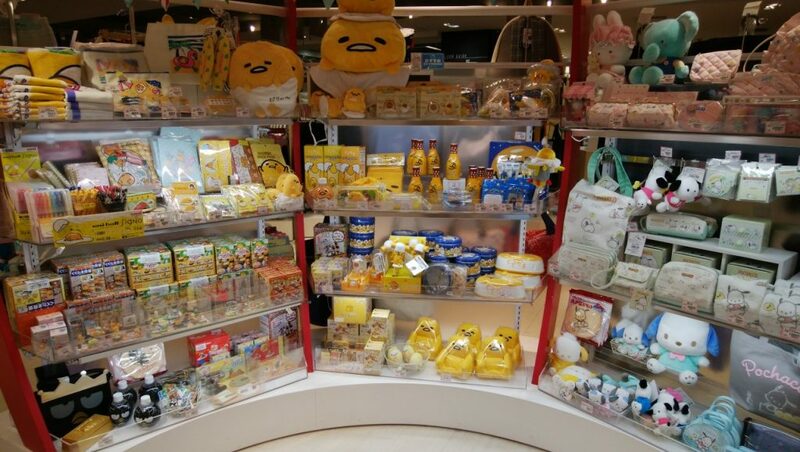 There’s also quite a large section for up-and-coming star, Gudetama! He’s a wonderful egg. 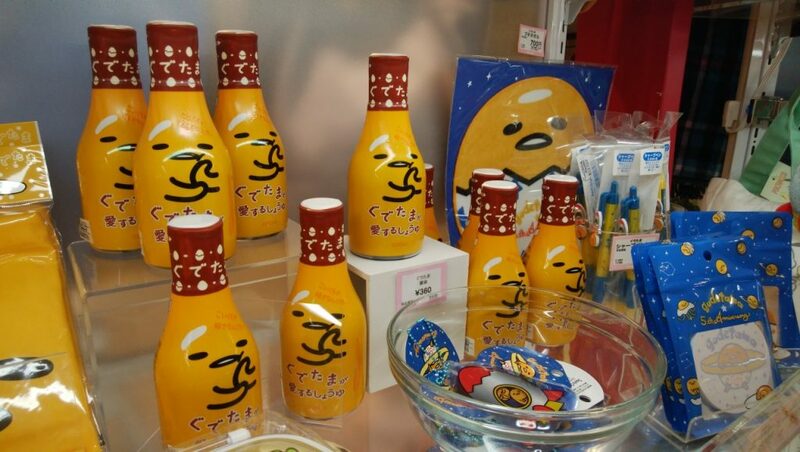 You may be able to find some interesting items, such as themed soy sauce. 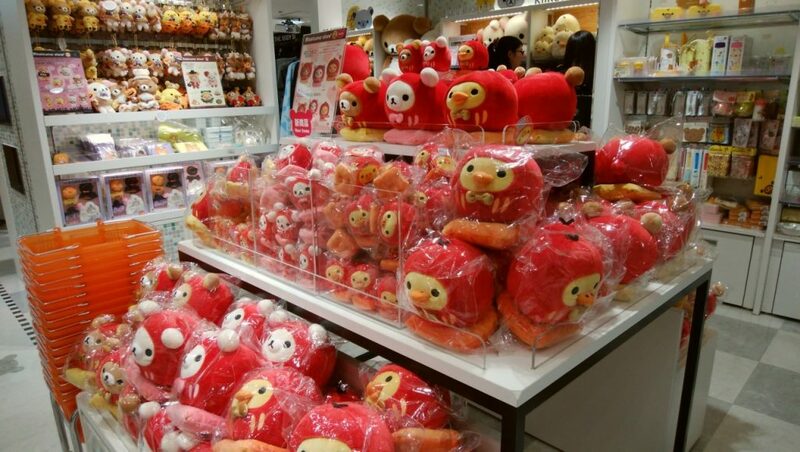 Or even Osaka-only limited edition items! 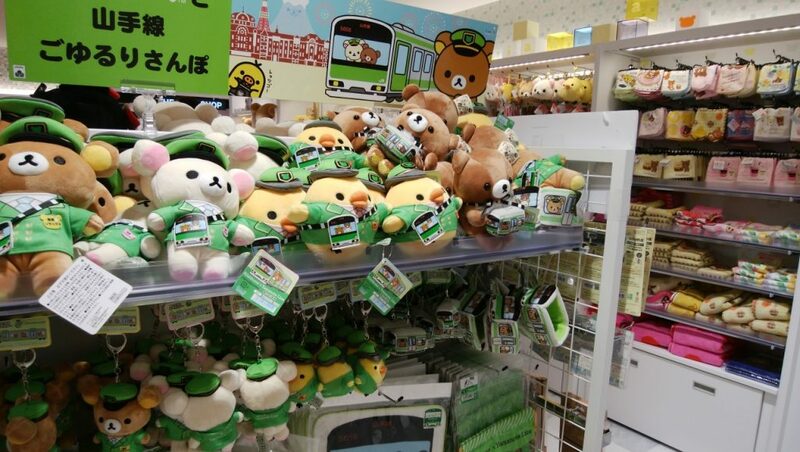 The next stop is Hankyu Sanbangai! 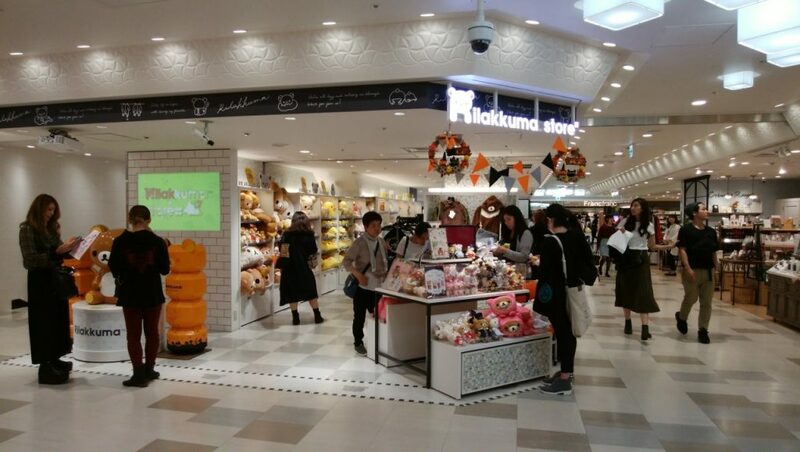 Here you can find the Rilakkuma store filled with adorable bears and the occasional small chicken. 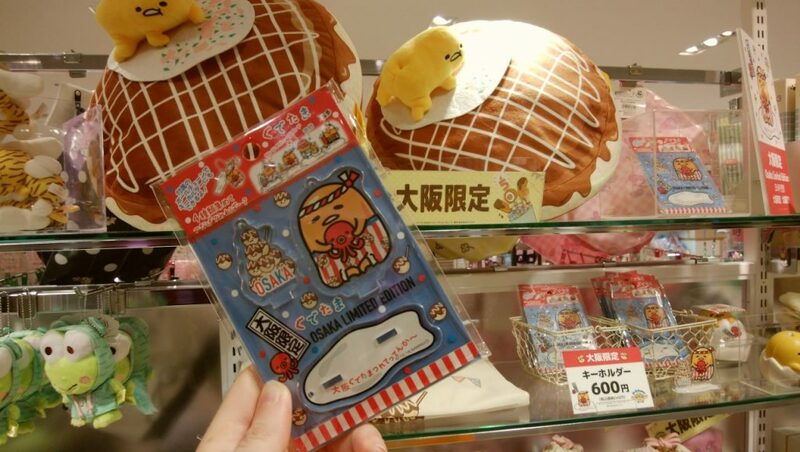 They also carry sumikko gurashi characters. 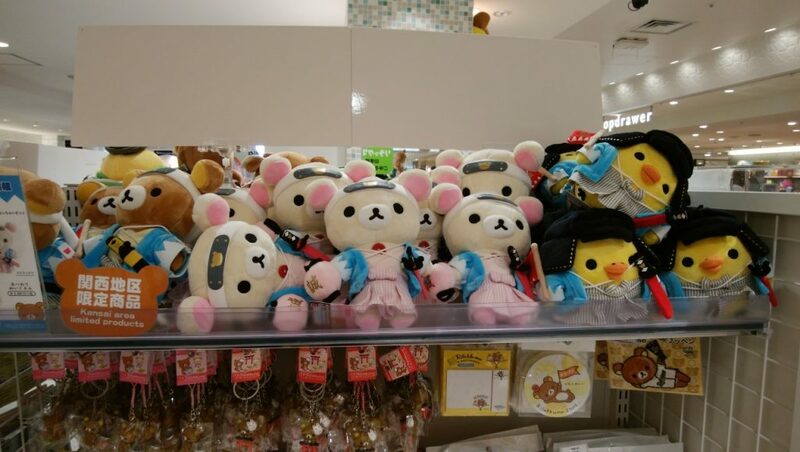 You can find not only your average bears here, but also limited-editions and Osaka themed bears. 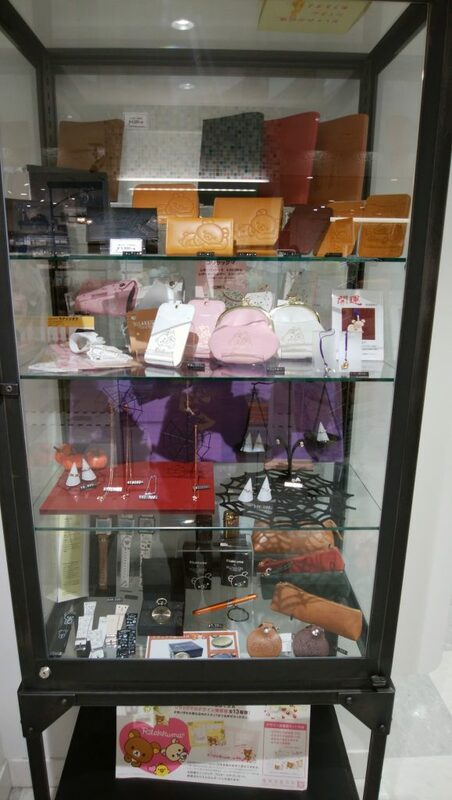 And of course, they carry fancier items for those of you with fine taste. 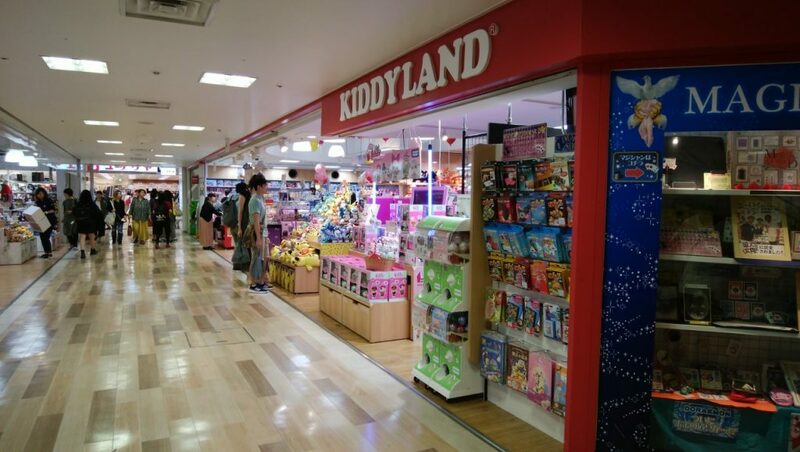 Kiddy land has almost every character you can think of held within it’s walls. 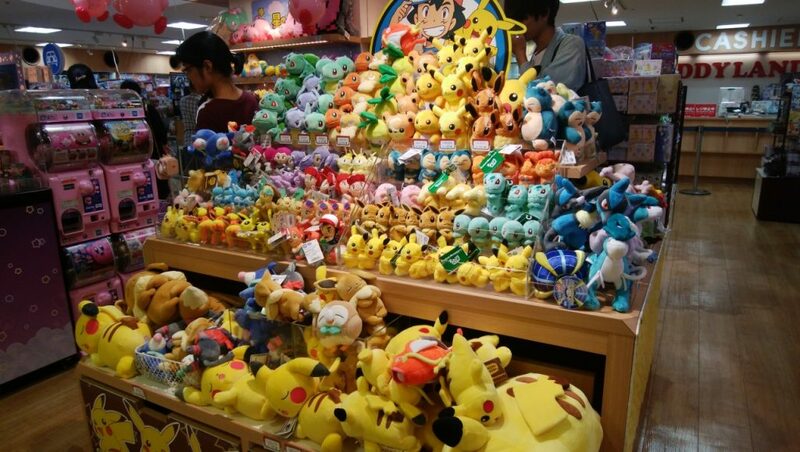 Kirby, Pokemon, Marvel, Super Mario, One piece, Dragon Ball, Doraemon, and many many others. 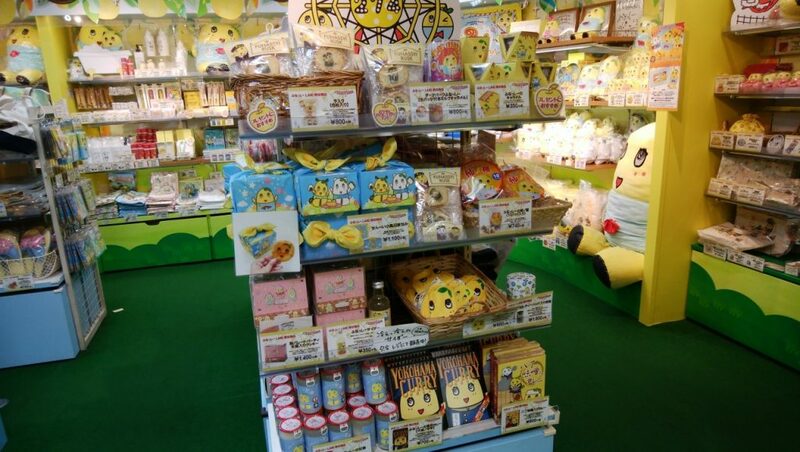 And right next door, you can find Funasshi Land. 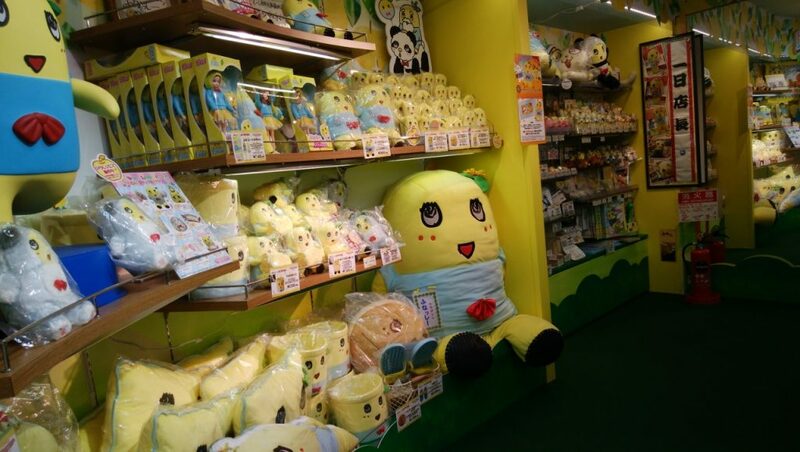 Home of the beautiful yellow pear fairy, this store carries many soft stuffed animals (pears? 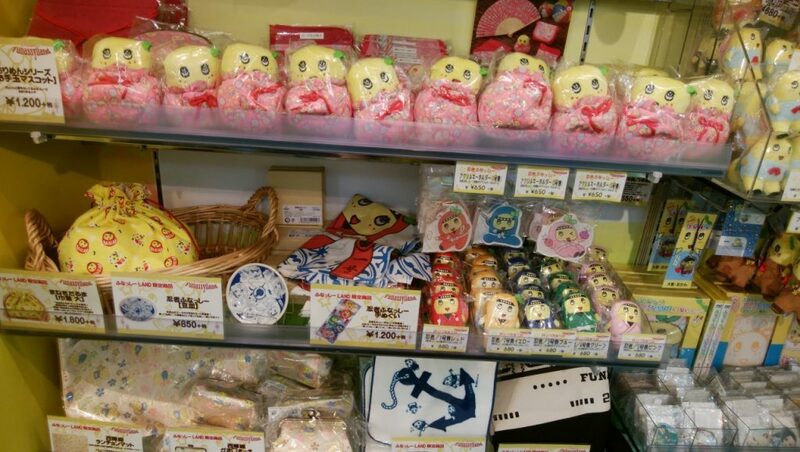 ), clothing, everyday items, pear-themed snacks. 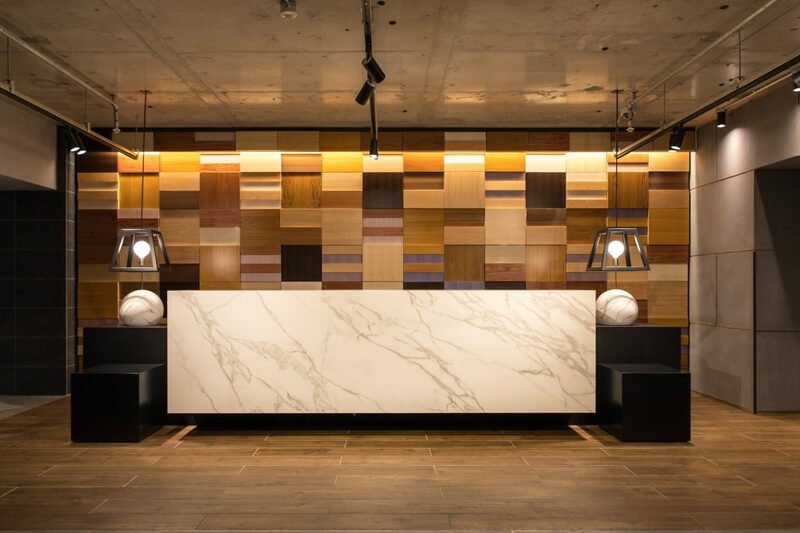 It’s quite an eclectic place. 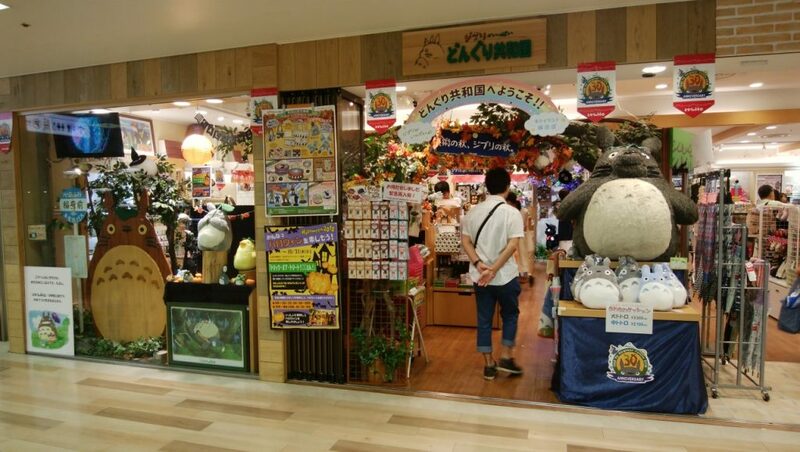 Walk around the corner from Kiddy Land and Funasshi Land and you will be greeted by the world of Ghibli. And, who knows, maybe there’s even more character wonderlands that we haven’t found yet. 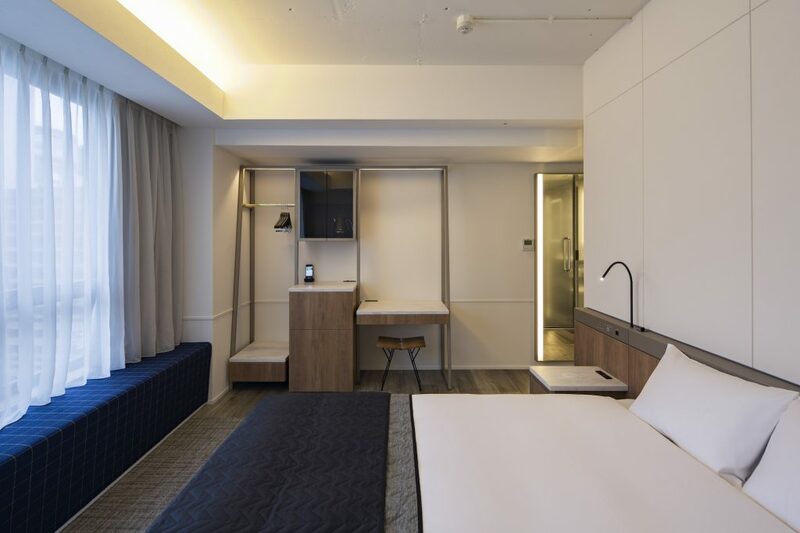 The perfect excuse for an adventure through the city during your time in Osaka. 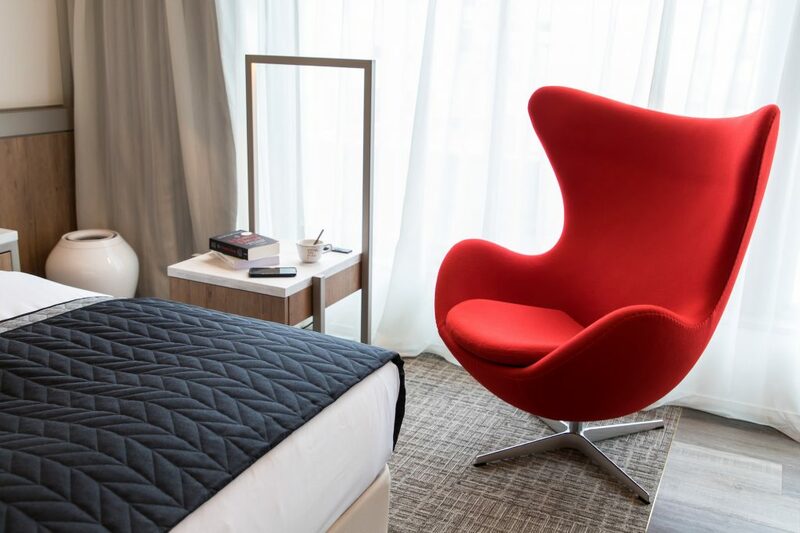 Our spacious lounge and bottomless coffee will offer the perfect relaxing moment after your day of overwhelming cuteness. 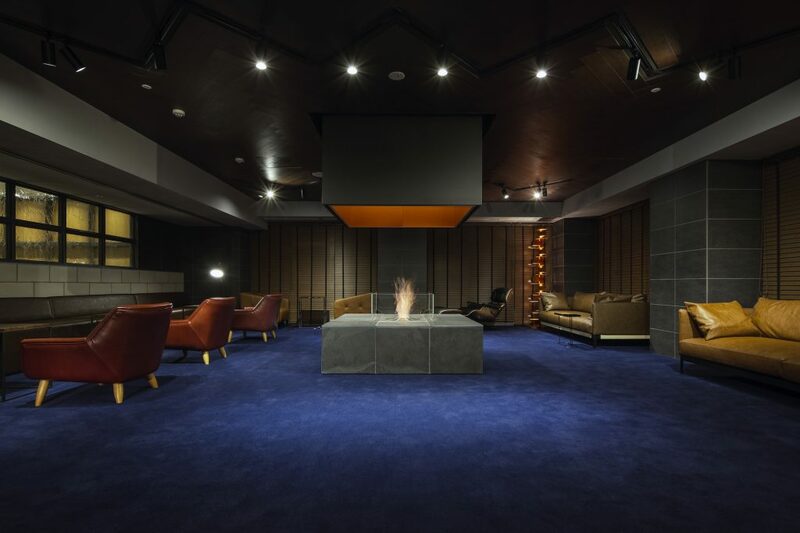 Have a seat near the fire and enjoy some communal chitchat with your friends before heading back to your comfy room. 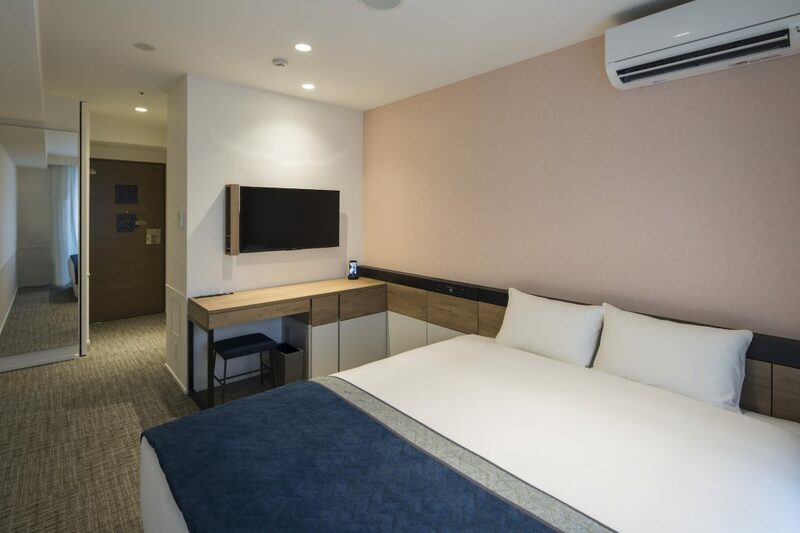 Whether you’ve chosen the Deluxe type room or Standard type room, we’ve paid attention to every detail to offer a comfortable and pleasant stay to each and every guest. 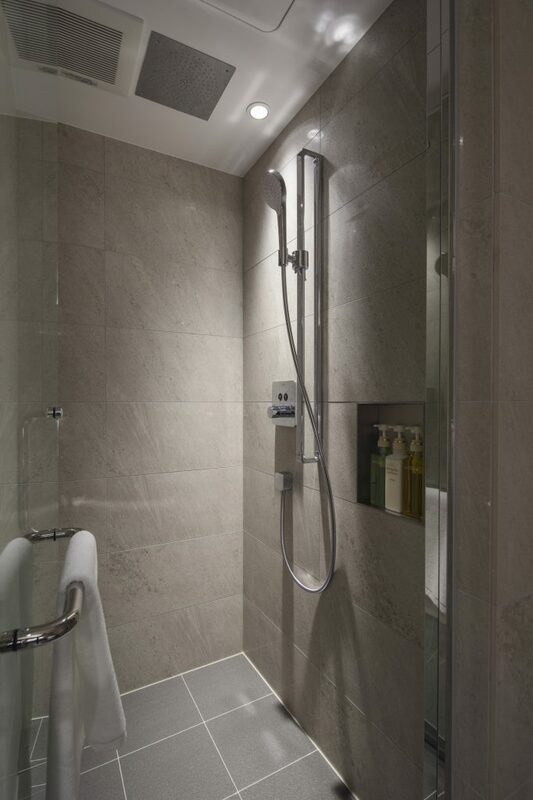 With rain showers equipped in all rooms and additional bathtubs in the Deluxe, you have many choices of what way to spend your calm evening.